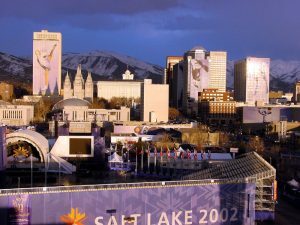 Salt Lake City, UT – Fifteen years ago this week, the world’s eyes turned to Salt Lake when the region hosted the 2002 Winter Olympics. Utah not only became the winter sports capital of the world during the 17-day run as host of the XIX Olympic Winter Games, but the city of Salt Lake was forever changed, transformed into an economic engine that added billions of dollars to a growing economy during the Games and continues to enjoy the benefits of that once-in-a-lifetime experience today. 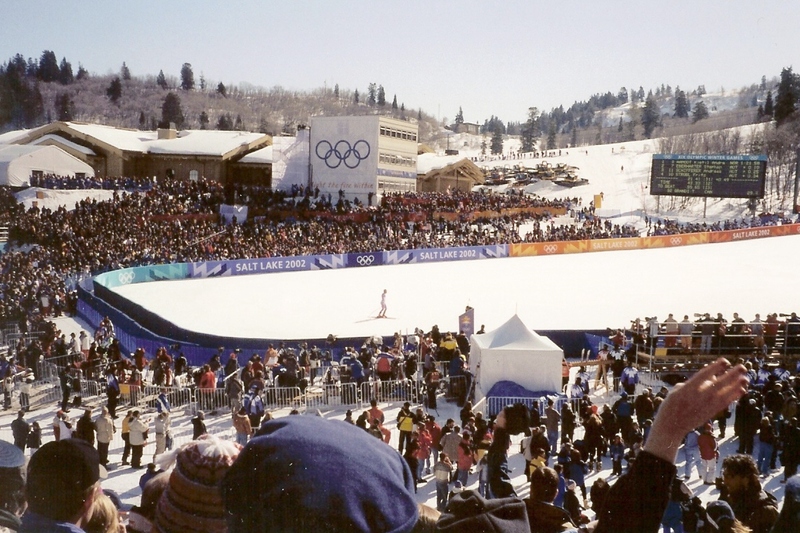 Ironically, although the 2002 Winter Games were hosted by Salt Lake City, none of the four Salt Lake City-area ski resorts hosted any of the Olympic events. Speed events — downhill, combined (downhill and slalom) and super G — were hosted by Snowbasin Resort near Ogden, while the remaining ski events were held in the Park City area. Deer Valley Resort hosted the freestyle moguls and aerials, and alpine slalom events. Park City Mountain Resort hosted the men’s and women’s giant slalom, men’s and women’s snowboarding parallel giant slalom, and both men’s and women’s snowboarding halfpipe events. 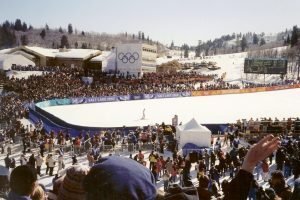 Cross country and biathlon competitions were staged at Soldier Hollow in Midway, while Utah Olympic Park near Park City housed the ski jumps. 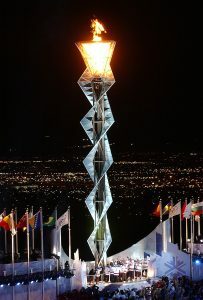 The official state economic impact for the period through the end of 2002 estimated the Olympics had an economic impact of almost $5 billion in sales and $1.5 billion in earnings for Utah workers, representing thousands of jobs and over $200 million in media exposure value from Utah events. Yet the financial benefits of the Games continue, with meetings and tourism a major factor in Salt Lake’s ongoing boom. Virtually all of the Olympic venues remain active today and generate revenue, unlike mothballed venues in some other Olympic host cities. “The city was just ranked No. 2 for job creation among large metro areas by the U.S. Bureau of Labor Statistics,” Beck adds, tied with such progressive hubs as San Jose, California (Silicon Valley) and Seattle. Last year, Utah was named the No. 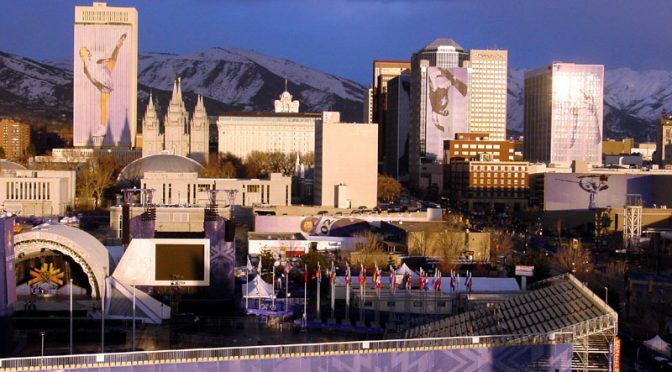 1 state for business by Forbes magazine for the third consecutive year, and Salt Lake one of the magazine’s top cities. In the 15 years since the Games, in addition to skiing at four resorts above the city — Alta, Brighton, Snowbird and Solitude — Salt Lake has developed a booming downtown Arts District, headlined by the newly opened George S. and Dolores Doré Eccles Theater. It has also opened world-class museums like the Natural History Museum of Utah and The Leonardo. There’s a vibrant dining, bar and nightlife scene, and an expanded TRAX light rail transportation system that effortlessly brings visitors from Salt Lake City International Airport into downtown and throughout the greater Salt Lake area via a vast array of TRAX lines and buses. The legacy of Salt Lake’s time on the world stage as an Olympic Winter Games host city is its transformation into a vibrant destination that continues to attract visitors from all over the world.